You have a choice when it comes to Phoenix business portrait photographers specializing in affordable portraits. Unlike most corporate portrait photographers, we can come to your office or work site. Review our website here, and you'll quickly see why so many Arizona businesses - both new and established - ultimately turn to Phoenix Arizona Business Portraits for their marketing & advertising needs. You will receive - more than any other Arizona business photographer - professionalism of the highest order, exceptional business portraits on location and the finest & friendliest service, Period! We have been in business before , during and after the recession. That's precisely what we specialize in: business portraits on location across Arizona. It's what we've been offering for years. Why? Because we understand executives are busy and dislike nothing more than wasting time outside the office. So, if we can save you and your associates their time AND money, then it's to your company's advantage. 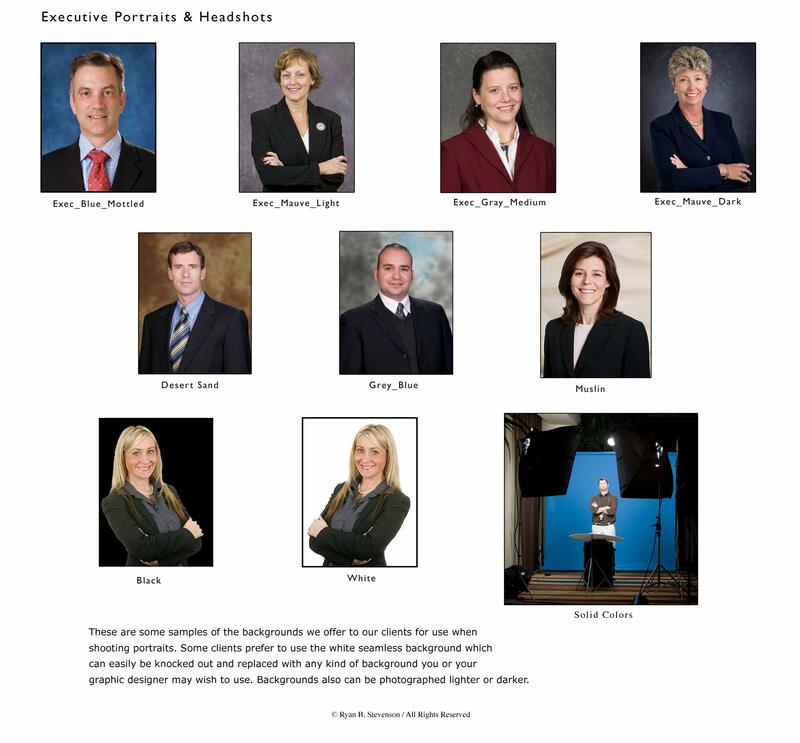 Phoenix corporate head shots on location across Arizona. Quick. Easy. Exceptional and affordable. Let Ryan Put A Good Face On Your Company. Frankly, 99 percent of us don't have the complexion or hairstyles Hollywood studs and starlets do. (Most of them really don't, either). They just receive hours of makeup and styling. We can't guarantee you or your co-workers will look just like Kate Upton or Ryan Gossling, but we will make you look your best. Our business also offers optional Photoshop skills which can knock off some wrinkles if you wish, clean up blemishes and soften skin tones on your favorite shot or shots. Call Phoenix top business photographer now to schedule business head shots or an executive portrait session at your office, work site or in our central Tempe studio. You'll be glad you did.